Today, David Daleiden and the Center for Medical Progress released the first in a new series of videos featuring Holly O’Donnell, the former StemExpress fetal body parts procurement technician who was featured in previous videos explaining the gruesome work she was expected to do for her job. StemExpress was partnered with a significant number of Planned Parenthood affiliates, harvesting aborted fetal body parts and then reselling those parts to researchers. The tissue company’s CEO, Cate Dyer, described Planned Parenthood as a “volume institution,” which supplied them with a great deal of fetal body parts. 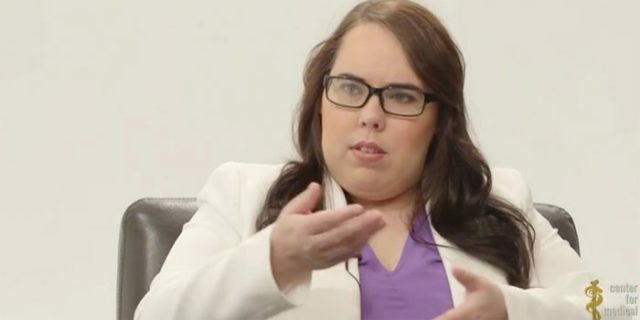 O’Donnell, who worked for StemExpress from December 2012 to April 2013, had previously described how, as a technician, she was instructed to harvest the brain of an aborted child by cutting through the baby’s face and how she witnessed an aborted child who still had a heartbeat. CMP posts a procurement document and a job offer letter sent to O’Donnell from StemExpress — which contains details on the amount of compensation provided to technicians for each specific body parts (or category of body part) harvested from aborted fetuses — as proof of O’Donnell’s employment by StemExpress.